Internet radio streams are online versions of radio stations. You no longer have to use a car radio or dedicated player to listen to those stations. If they broadcast them online too, you can just plug them into iTunes and listen straight from your computer. Apple iTunes, like many other media players, can connect to a live stream. It doesn't matter what the live stream is: music, weather, news, police radio, or podcasts. Once a stream is added, it is put into its own playlist called Internet Songs and works like any other playlist you have in your iTunes library. 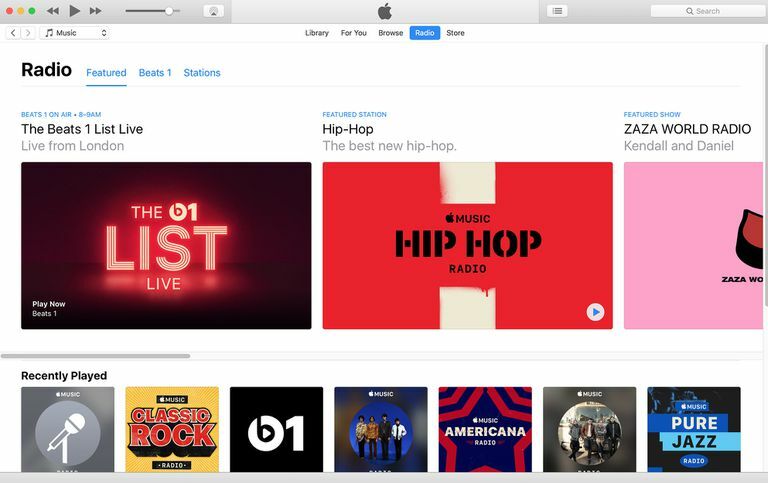 Some radio streams might instead be identified as regular music files and be put in the Library section of iTunes, with the time on it is set to "Continuous." Not all radio stations put a live internet stream up on their website, but there are various places where you can find plenty of radio stations that do. When you do, copy the URL for the stream. With iTunes open, navigate to File > Open Stream or use the keyboard shortcut Ctrl+U. Paste the URL of the online radio station into the field provided. Click the OK button to add the station to iTunes. To remove the custom radio station, right-click it and choose Delete from Library. Radio streams are sometimes in a regular file format like MP3, but others might be in playlist formats like PLS or M3U. No matter the format, try inserting it into iTunes as described. If it works, you should hear sound within seconds. If it doesn't work, it might be added to iTunes but never actually play. Below are two examples of websites that have large collections of free internet streams with direct links to the URLs you can copy and insert into iTunes. However, your favorite radio station might have a link posted on its site, look there first if you're after a specific station. Radio? Sure! : Choose active from the drop-down list next to "Status" in the stations listing and then search for a keyword that can be used to help find the station you're after. Click the table headings to sort the results by name, genre, country, language, and the date it was last updated. After you open the stream you want, copy the link from the Source section and paste it into iTunes. Icecast directory: Search by keyword or browse by genre. Right-click the M3U link next to the stream and paste it into iTunes. How do I get back the Button for Internet Radio Stations?